Further information: Lexikaliker bought this “Mars Tiegel” from the museum of the Graphit Kropfmühl PLC, now part of AMG Mining PLC. 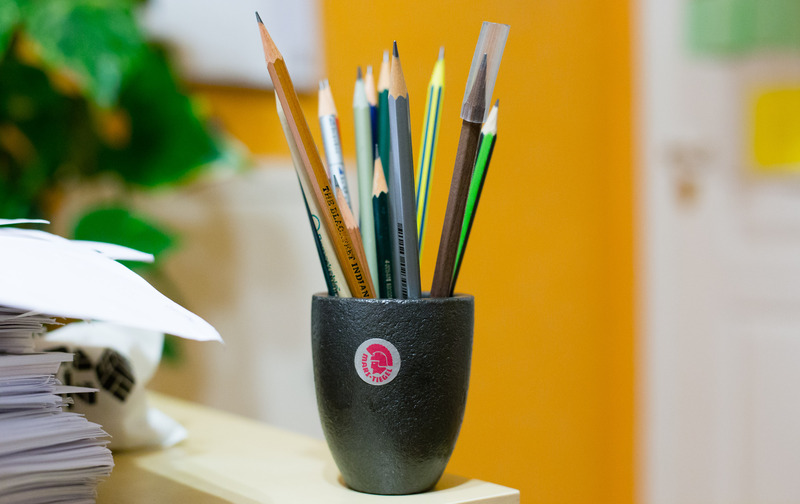 Now it’s mine and ever since I got it it is my most treasured pencil pot, storing my ready to be used pencils2. It is made by Aug. Gundlach, who describe their company as one of the world’s leading manufacturers of crucibles3. Apparently clay-graphite crucibles, like this one, are a thing, which means that a clay graphite4 mix is also used for manufacturing items other than pencils. There is also a great looking Graphit Kropfmühl pencil, previously shown in this blog post.